Washington has earned comparisons to John Coltrane, Pharaoh Sanders and Sun Ra. Like those jazz greats, his work sometimes seems like it was beamed in from another dimension. 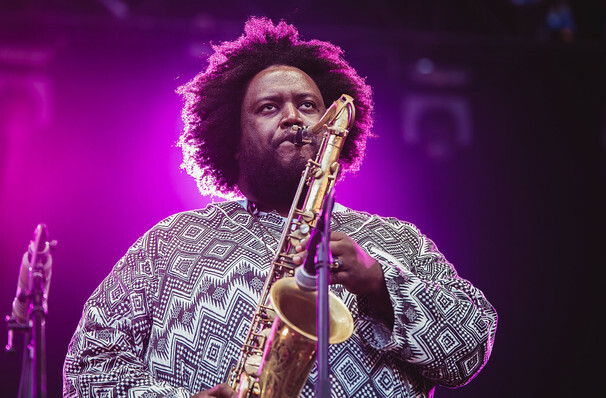 In 2015 post bop jazz pioneer Kamasi Washington released a studio album spanning three volumes that clocked in at 170 minutes and was aptly named The Epic. This critically acclaimed debut followed years of collaborating with and playing for the likes of Thundercat, Kendrick Lamar, Erykah Badu and Snoop Dogg. Now the genre-bending bandleader hits the road in support of hotly anticipated follow-up Heaven and Earth, a double album featuring backing band West Coast Get Down, choir and strings. Straddling both the old and new school of jazz, Washington combines the soulful jazz of John Coltrane and the 70s fusion of Miles Davis and Weather Report with neo soul, an ambitious, expansive arranging style, slick production and an ear for melody. As such, his live shows are whirlwinds of virtuosic technique and relentless rhythms that take the listener on a mind-expanding journey through time and space. 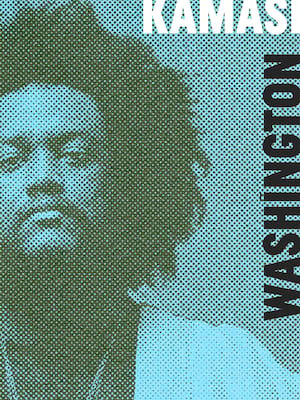 Jazz may often be seen as a dying artform, but Kamasi Washington breathes new life into the institution. Sound good to you? Share this page on social media and let your friends know about Kamasi Washington at Buckhead Theatre.